Spring is definitely making an appearance and now is the time when parents begin to think of ways to keep their little ones entertained outside. 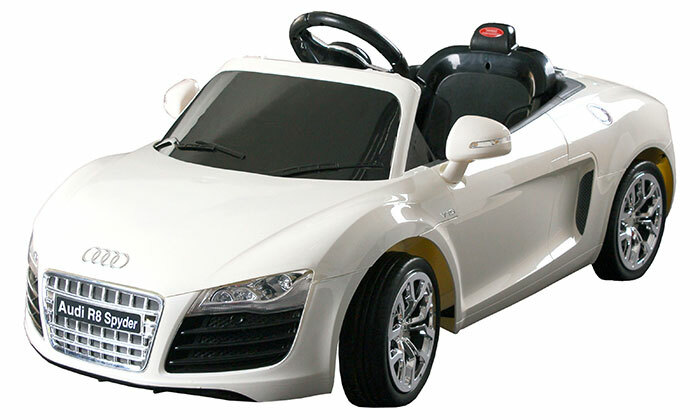 Our children love being outside and on a recent trip to a Toys r Us my two children seemed to the most exciting part of our visit, not the toys within the store or the playhouse that we were planning to buy, but the electric cars that were on display for the children to use. They spent the shopping trip driving up and down the aisles whilst my wife and I followed them closely to make sure they did not mow anyone down. I used to yearn for one of the electric cars when I was a young but sadly they were reserved for the rich kids as they would cost as much as a TV, if not more. Nowadays, they are still expensive but not as much as they used to be. This ride on vehicle is more for fun and a real must I should think for any Fireman Sam enthusiasts. 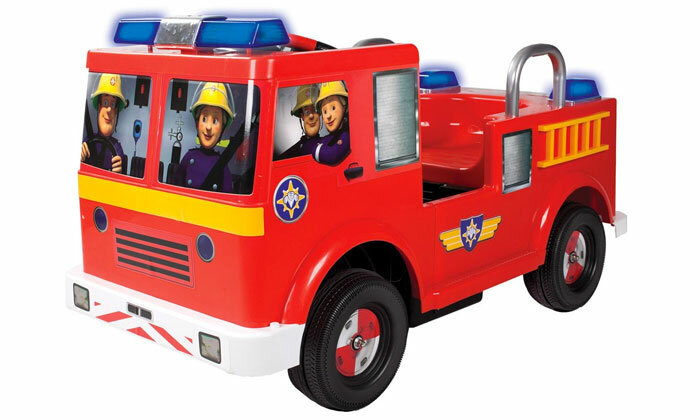 Coming in at just under £200 this bright and realistic looking fire engine is aimed at a slightly older age group and recommended for 3 and up. 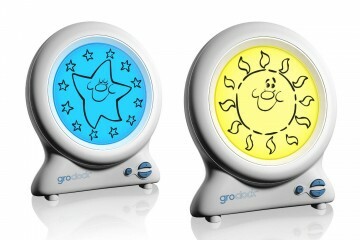 It has sounds from the show, lights and an impressive 8hr battery life. What makes this even more appealing is the hat, costume and fire fighting back pack that can be purchased to go with it. 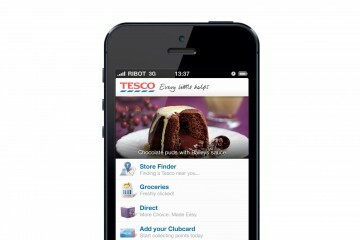 Looks look a winner to us. 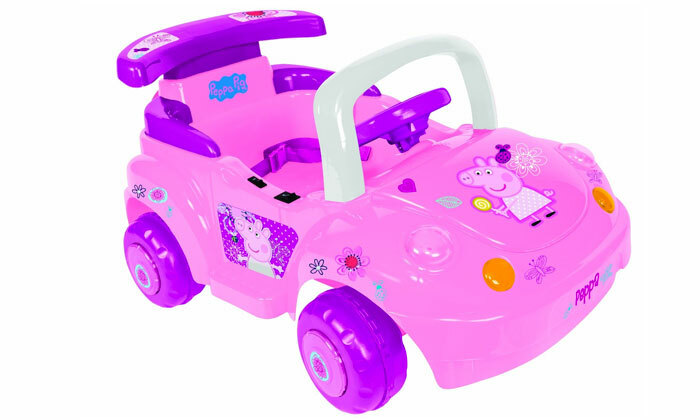 Fighting the corner for the girls is a Peppa Pig Jeep style car. At just over £100 this bright pink and adorned with pictures of he much-loved Peppa Pig this is sure to appeal to any toddler with a passion for all things Peppa and pink. A slightly slower car than the others travelling at a rather slow 2km this car may not win any races but looks like bags of fun. Following suit with a much-loved favourite is this train ride along. This train really impressed as it not only included a train but 20 pieces of track. It cannot be ridden without the track but I think this makes for the perfect first ride along as there is little room for crashing with your toddler following a track made by you. 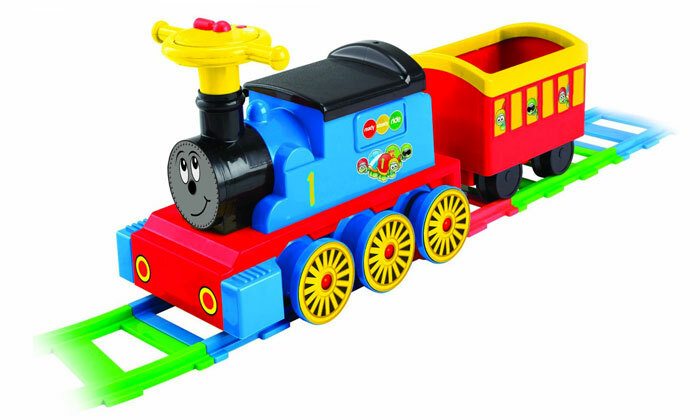 This brightly coloured and very realistic train has both forward and reverse gears and costing around £70 is a reasonably priced item that seems to offer hours of potential entertainment. No article about electric ride ons would be complete without a quad bike. This one we found was a snip at £30 from Tesco with adjustable handlebars and reaching speeds of 3km per hour. 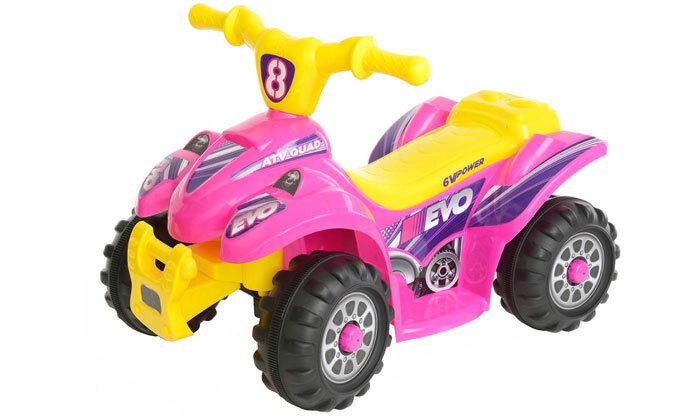 This motorbike seems to be the economical and fun choice as we all know as parents what children can’t live without one day quickly becomes another piece of plastic to fill up our lives. Saying that, I think it would take some time for any toddler to grow tired of these cars and bikes!